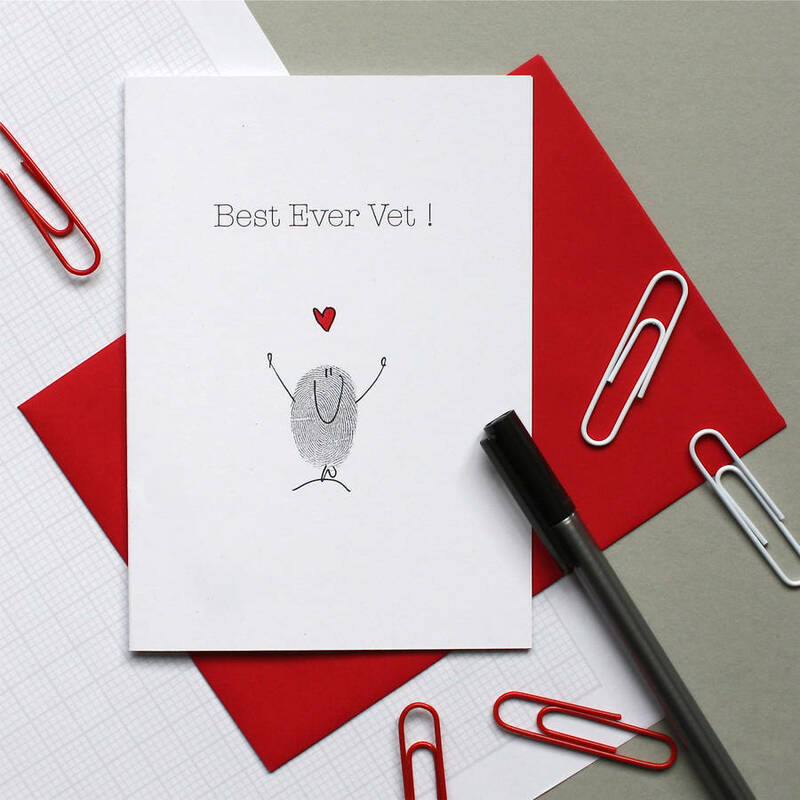 A cute thumb print thank you / retirement / leaving card for your vet by illustrator Adam Regester. Each card is handmade to order. The card is blank inside for your own special message. The card uses recycled materials and is A6 size (10.5cm by 14.5cm). It comes with a good quality red coloured envelope and will be well-packaged to ensure it arrives in perfect condition. Recycled paper, card and ink. Each card is a standard C6 size so measure approximately 14.5 x 10.5 cms. This product is dispatched to you by Adam Regester Design.